Both Mahindra Electric and Tata Motors have signed individual MoUs with the Maharashtra government, and the cars supplied will contribute to the government's push for deploying EVs in various sectors. Tata Motors and Mahindra have signed individual memorandums of understanding (MoUs) with the government of Maharashtra to supply 1,000 electric vehicles each. The move comes on the back of the government's push to boost electric mobility in the state, which is seeing an increasing amount of interest from different players in this category. Under this MoU, Mahindra Electric will be seeing deployment of their EVs in a range of fields, including taxi services, logistics operators and more. Furthermore, Mahindra will also be investing Rs. 500 crore into its plant in Chakan, Pune for building EVs and electric car components, which should see the company ramp their presence up in the electric car segment. Meanwhile, Tata Motors, in partnership with its parent group company Tata Power, is being tasked with expanding the network of electric car charging stations, beginning with Mumbai. Tata Power inaugurated its first public EV charging station in Vikhroli, following which it has expanded to other areas within Mumbai. The two companies have also been the joint suppliers of electric vehicles to government-undertaken body Energy Efficiency Services Ltd. (EESL)'s tender for 10,000 electric vehicles. 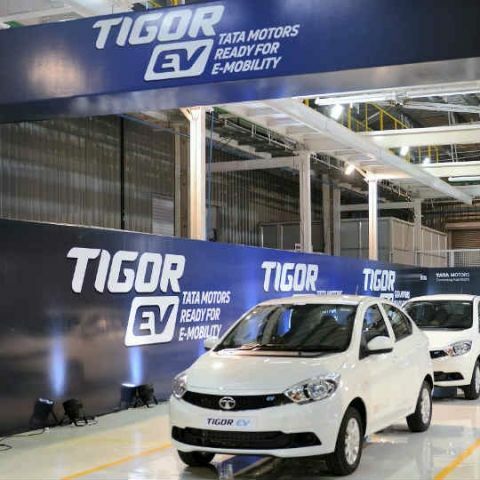 The EESL has so far sourced a total of 500 Tata Tigor EV and Mahindra e-Verito sedans from the two companies, and aims to procure the rest by Q1 2019. Tata Motors has also spoken at length about its focus on smart cities and the role that electric and electrified vehicles will play in such situations, and this is one of the first steps towards the company's eventual goal. GPU withput External Power supply. When does Digit magazine come to store for each month? i want to know the release date.